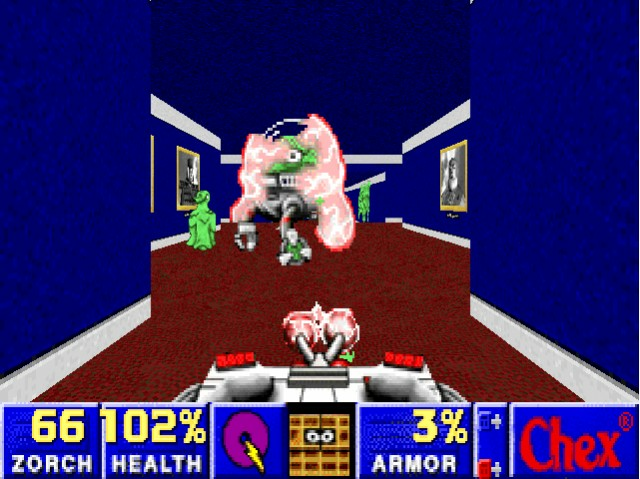 Chex Quest is a non-violent first-person shooter video game created in 1996 by Digital Café as a Chex cereal promotion aimed at children aged 9 and up. It is a total conversion of the more violent video game Doom (specifically the Ultimate Doom version of the game). 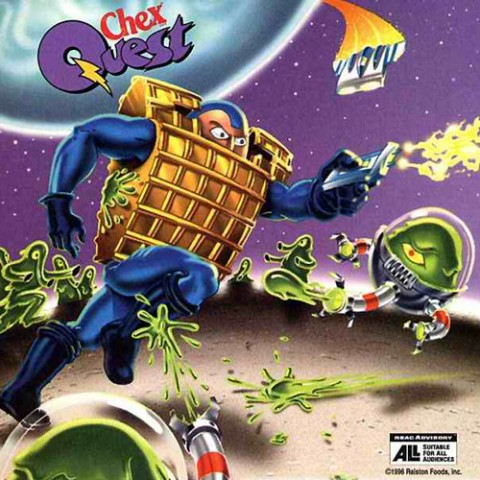 Chex Quest won both the Golden EFFIE Award for Advertising Effectiveness in 1996 and the Golden Reggie Award for Promotional Achievement in 1998, and it is known today for having been the first video game ever to be included in cereal boxes as a prize. The game's cult following has been remarked upon by the press as being composed of unusually devoted fans of this advertising vehicle from a bygone age.